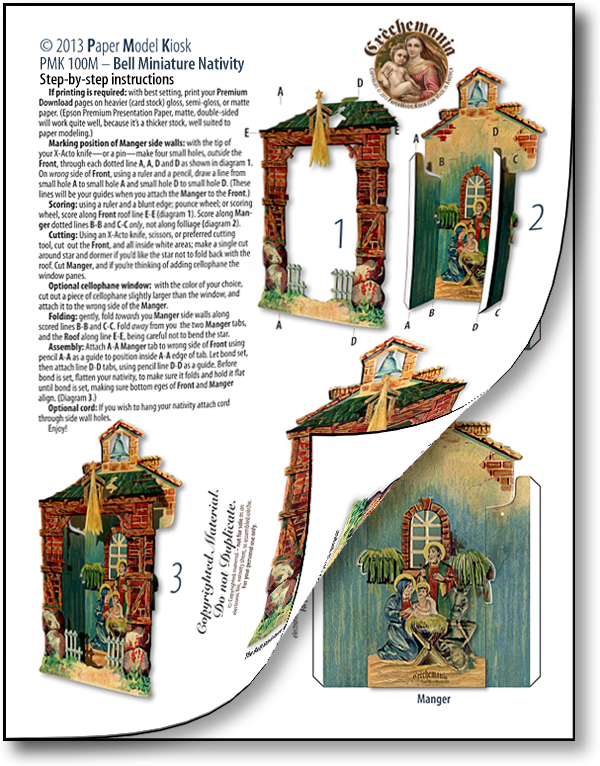 The Bell Miniature Nativity Sheet also includes a PDF of step-by-step instructions (shown at top, above). 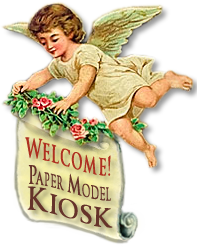 A quality Printed Sheet and Premium Download to cut out and assemble. Add a Christmas touch to your decor by displaying it in your centerpiece or hang it from your tree. Size: 3 x 4.75 x 0.75 inches.